In response to concerns over the adequacy of retirement savings, Congress has created incentives to encourage individuals to save more for retirement through a variety of retirement plans. Some retirement plans are employer-sponsored, such as 401(k) plans, and others are established by individual employees, such as Individual Retirement Accounts (IRAs). This book describes the primary features of two common retirement savings accounts that are available to individuals. 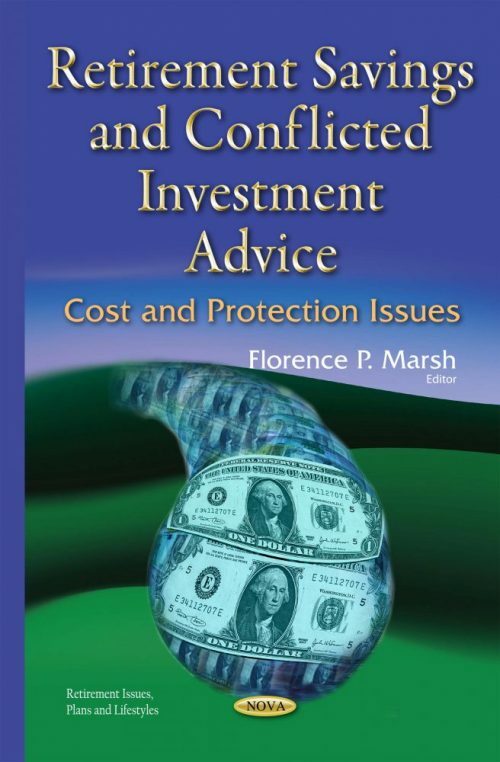 It also examines the evidence on the cost of conflicted investment advice and its effects on Americans’ retirement savings; and describes circumstances where service providers may have conflicts of interest in providing assistance related to the selection of investment options for plan sponsors and plan participants, and steps the Department of Labor (Labor) has taken to address conflicts of interest related to the selection of investment options.